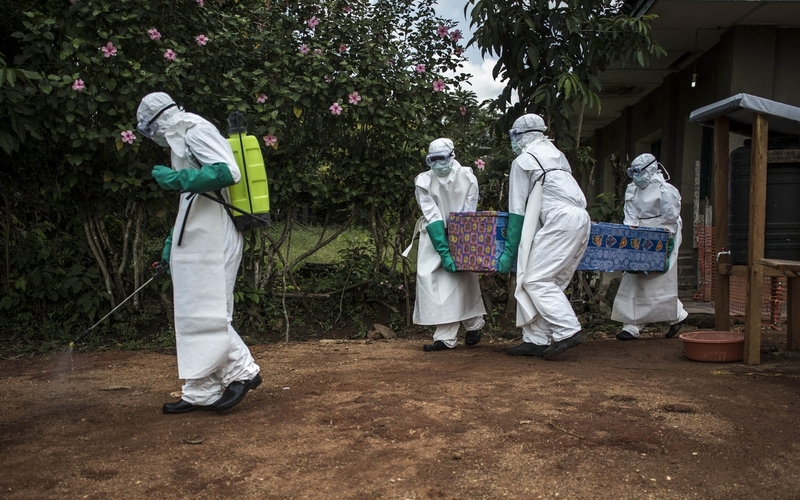 Recent cases of Ebola in the Democratic Republic of Congo (DRC) have claimed at least 90 lives since the start of August. Oxfam is now concerned that conflict, which has plagued the eastern part of the DRC for decades, could undermine efforts to contain the latest outbreak. Fear within communities is also making it difficult to provide help or take action to prevent the spread of the disease. At times, people are threatening those trying to help because many don’t know who to trust, having spent years caught up in conflict with little response from the international community or the government. They do not understand why aid workers are now coming in such large numbers. “While the transmission rate appeared to be slowing down due to communities responding quickly to prevent the spread, these new cases in urban areas mean we’re not out of the woods yet. In big cities, people come into contact with far more people, especially in a major trading place,” said Jose Barahona, our Country Director in the DRC. In Mangina, the epicenter of the outbreak where over 80 percent of fatalities have occurred, Oxfam found people in shock and angry that family members have died so quickly and are being taken away from them. While most people were aware of the seriousness of the virus and have been making great efforts to break the chain of contamination, those who didn’t know about Ebola were scared and had heard many rumors. Oxfam staff have heard of some instances where fear from community members resulted in aid workers being threatened by angry people brandishing machetes and wooden sticks, rocks being thrown at cars, and health workers being blamed for ‘killing’ family members. In one village, part of a health-screening checkpoint was burnt down and Oxfam staff witnessed residents of another village create a roadblock, preventing any help from getting through. “People are facing the virus for the first time, so they are understandably shocked and scared. If you add in the appearance of health workers in space-age hazard suits and the fact they’ve been living with the threat of violence for decades, you can imagine how terrifying the situation is,” said Barahona. “From working on previous Ebola outbreaks, it is clear that talking with communities and finding safe solutions with them is critical to containing the virus. When people are informed, and time is taken to listen to their concerns and questions, their behavior changes rapidly. We have to work with people to change their understanding and behavior if we hope to keep Ebola under control,” said Barahona. Oxfam is on the ground providing clean water, handwashing stations, public health education and more.